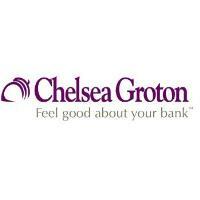 Groton, CT – Jay McGuinness, of Wallingford, CT, recently joined Chelsea Groton Bank as Vice President, Commercial Loan Officer – Glastonbury. He will be based at the Bank’s Lending Center in Glastonbury, and will work to develop commercial loan and commercial mortgage relationships with centers of influence in the Greater Hartford and Greater New Haven market areas. Most recently, Jay was a Vice President/Commercial Loan Officer at First Niagara / Key Bank. Prior to that, he was a Commercial Loan Officer for Connecticut Innovations. Jay has held numerous management and senior management positions with local banks throughout his career. Jay graduated from Saint Michael’s College with a BA in Business Administration. He attended graduate school at University of New Haven. He was recently named Vice-Chairman of the Central Connecticut Coast YMCA. Jay was previously Chairman of the Board of Hamden/North Haven YMCA; a member of the Finance Committee of the Central Connecticut Coast YMCA; a member of the Board of Directors of East Haven Chamber of Commerce; and an active member of several steering committees and boards for community parades, festivals, chambers of commerce, and more.